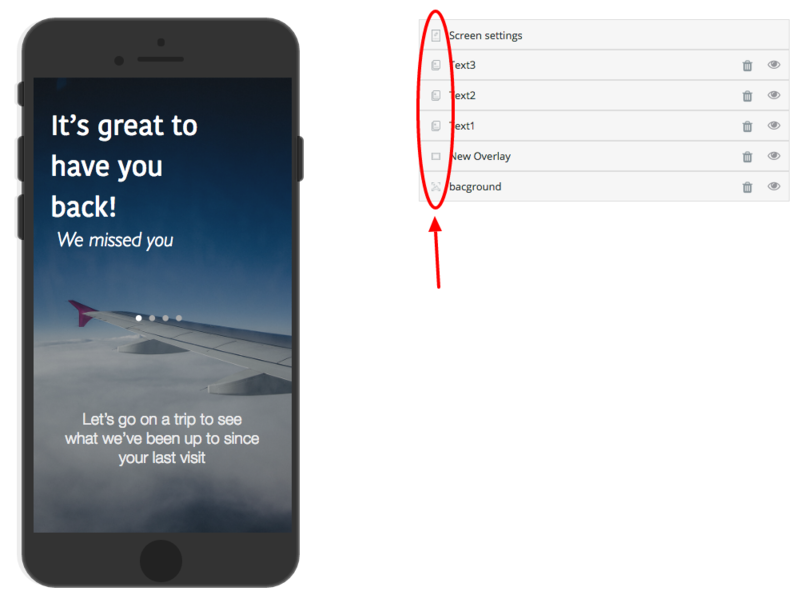 How to create 'Traveling Theme' template? We have chosen a few experiences that we wrote a step by step "how-to" to help get you familiarize with our platform. The very first part is to Add a new experience. Click here for a full step by step on how to create an experience. The next component will be to edit your screens. Click on &apos; Edit&apos; to take you to our studio. Screen 1: All the images that we have chosen for this screen came from the assets that we have created. You should upload your images that best suit your experience. For the sake of this article, you can access our gallery and choose the images from this experience in order for you to become acclimated to the platform. We will be discussing the elements beginning from the bottom and working our way to the top. Let&apos;s create the first screen. 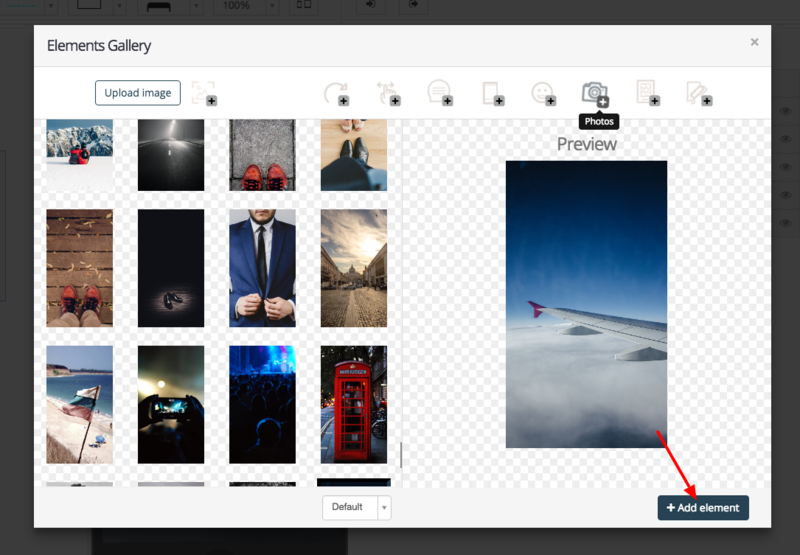 To upload photos from our gallery first click on the &apos;Image Element &apos; located on the left side of the dashboard. 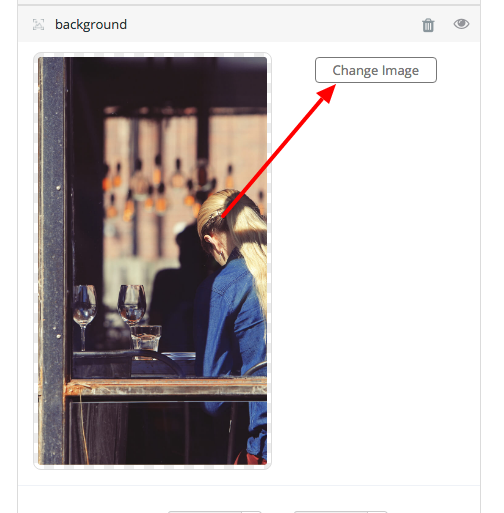 Then hover over the camera icon &apos;Photos &apos; and choose the image that you want to add to your screen. Lastly, click on &apos;Add element&apos;. The image will appear on the screen. Uploading Images: You are also able to create your own images. Click here for detailed instructions on how to upload an image. If you label all your elements, you will have an easier time making adjustments. To name the elements, click on &apos;Reorder&apos; button located on the top right corner of your dashboard. After you label an element, click on Enter or Return key, so that the name is saved. You can also rearrange the elements; if you want an element to be in front of another element. Make sure that once you have labeled all your elements click the &apos;Reorder&apos; button again. The next element that is placed on the screen is a &apos;Shape Element .&apos; We labeled the shape element as NewOverlay. The &apos;Shape Element&apos; is located on the left side of the dashboard, underneath the &apos;Text Element &apos;. We stretched the element to cover the entire screen. The default color for shape is a gradient; click on the Gradient and change to Color then choose the color. For this screen we chose rgba(38, 38, 38,1). We also decreased the opacity to 37, in order to see the background. Here are the dimensions for the shape element. You can adjust the font size, font name, alignment, and color under the text element. Each text is a separate element: the three elements are Text1, Text2, and Text3. The last element on this screen is the default element that appears on every screen, Screen settings. We moved the screen settings to be placed in the middle of the screen. Screen Settings: You are only able to see the swipe dots once you have more than one screen. The Screen settings can be personalized to your liking. You are able to change the color, as well as hide the screen completely. Click here for an explanation. Screen 2: We wanted the second screen to look similar to the first screen, but with a different background. Hopefully you are more familiar with our studio that the next screen will be easier to create. We clicked on the &apos;Experience Screens &apos; located on the top left corner of the dashboard to go back to all your screens in the experience. Hover over the Screen #1, and you will see this option - &apos;Duplicate Screen,&apos; click here and then click OK.
Then click on &apos;Edit&apos; on Screen #2 to go back to editing your new screen. There is a different image for the background. This will take you back to the gallery, click the &apos;Photos&apos; image and choose another image to place in the screen. 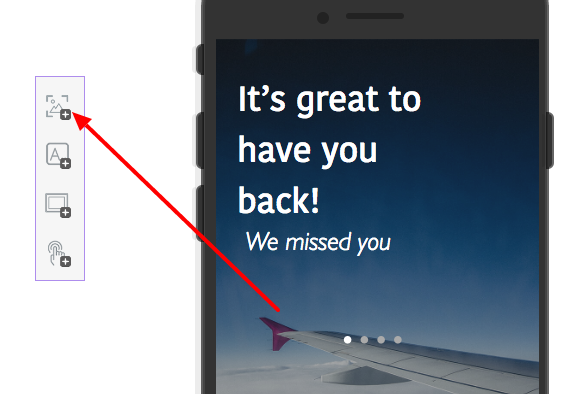 We changed the wording of the two text elements and removed a text element as well. There are two ways to change the wording of the text. You can either delete all the text elements and add new text or you can just change the wording for each text element. To change the wording click on the &apos;text edit&apos; button. Write the new wording that you want to have on the screen and then click on &apos;update&apos; to save the text. 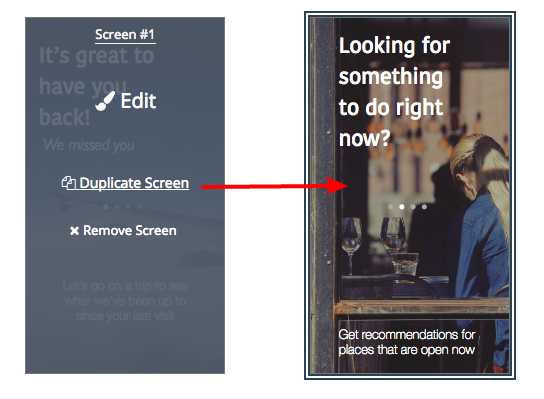 Screen 3: This screen is a duplicate of screen 2 with some added elements. Review screen 2 on duplicating screens. Again, we changed the background image. 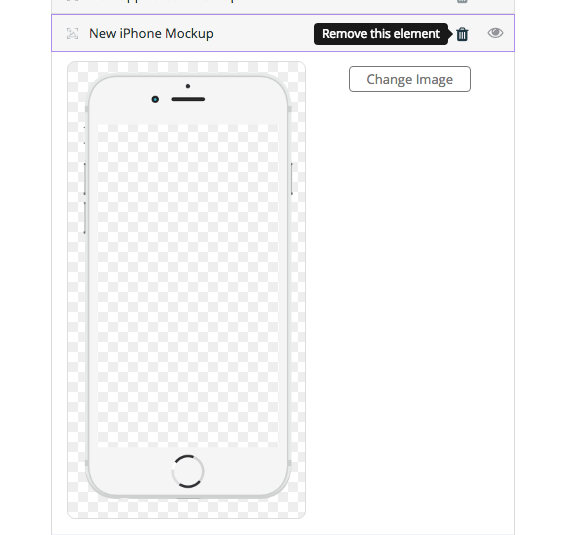 We added an iPhone element, which we labeled as New iPhone Mockup, and placed the image in front of the background. We chose the white iPhone for this experience. The iPhone is placed towards the bottom of the screen. 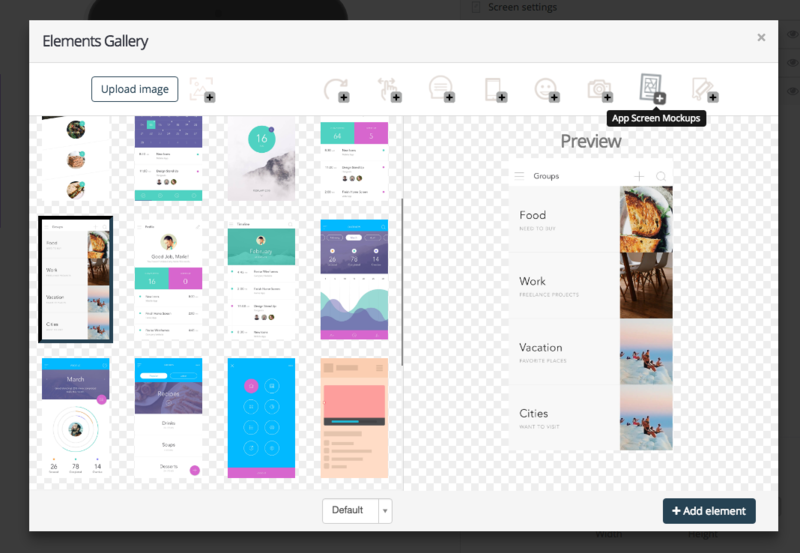 The next element is the app screen mockup, New app screen mockup. We placed the element inside the iPhone frame to show how an app will look. Lastly, we changed the wording for both text elements. We moved Text2 above the screen settings. Screen 4: The last screen has a few changes from the previous screen. We duplicated screen 3 to have the same elements. 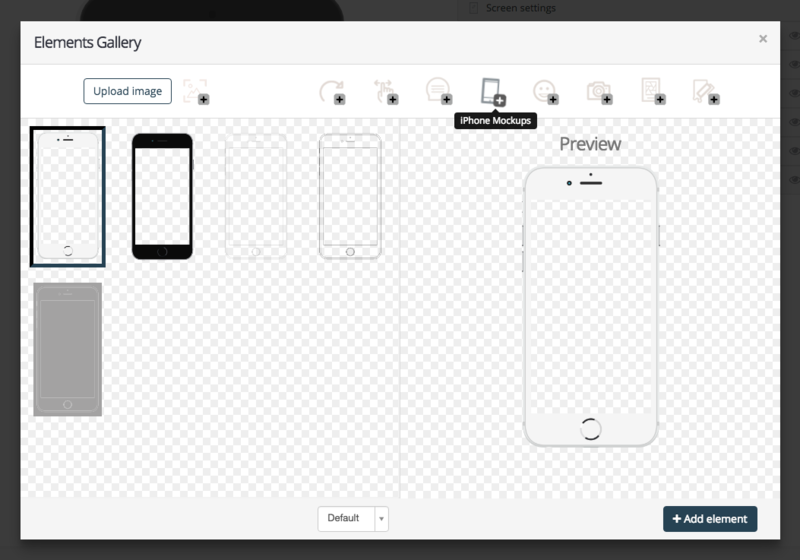 We removed both the iPhone Mockup and App Screen Mockup. To remove an element click on the trash can next to the name of the element. 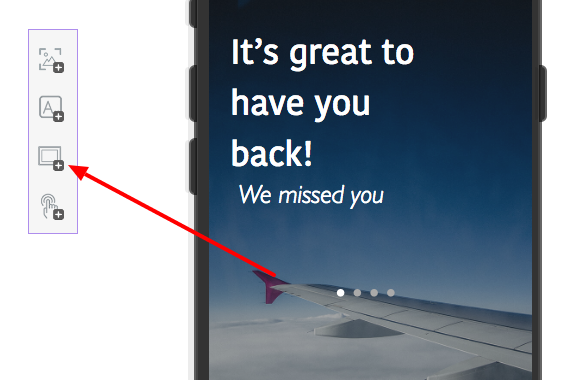 The wording for the two text elements have changed, as well as the position. We also removed the New Overlay element. 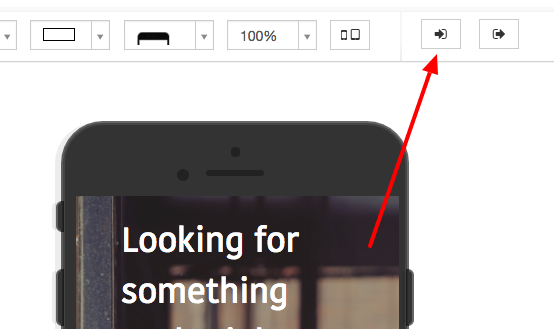 The last element that we added is a &apos;Call-To-Action Element ,&apos; New Button. We placed the button at the bottom of the screen. Transitions: When you are finished with all your screens, begin to set the transitions, the flow between the screens. You will find these buttons, &apos;Transition Inbound &apos; and &apos;Transition Outbound ,&apos; on the top of the screen. By clicking on one of these buttons, you will navigate to our transitions studio&apos;s platform. The transitions for this experience are very simple. Be sure to check out our detailed tutorials about transitions. Note: These transitions can be applied to every screen in the experience. Lets begin by going over what is happening during this transition. All the elements for this transition are either fading in or fading out and moving with the screen. Here is how to use the transitions. Make sure to reorder the elements so that all the elements for &apos;Inbound&apos; will be grouped and the other elements will be in the &apos;Outbound&apos; group. Here is how to transition each element. Lets begin by going over what is happening during this transition. All the elements except for New app screen and New iPhone for this transition are either fading in or fading out. The two other elements: New app screen and New iPhone are moving in from the bottom of the screen. Note: Besides the transitions between screens, you have to set the &apos;Screen #1 Inbound&apos; and &apos;Screen #X Outbound&apos; (X=last screen), in our case &apos;Screen #4 Outbound&apos;. In most cases, you just want to make sure that the main background elements, will be set as &apos;Move In&apos; & &apos;Stays in position&apos; | &apos;Move Out&apos; & &apos;Stays in position&apos; accordingly, but in this specific case we set these as &apos;Move In&apos; & &apos;Move with screen&apos; | &apos;Move Out&apos; & &apos;Move with screen&apos;. When you are in &apos;Transition Inbound&apos; from screen two, you will see both screen 1 and screen 2. Here is where you will choose the flow from one screen to the next. Every element is labeled for you as either inbound or outbound.